Under the title “Toward the Future: Museums and Art History in East Asia,” the 2019 CIHA Colloquium in Tokyo examines the field of East Asian art history in the age of globalization. It explores the foundations and modern development of museums, art history, and other related art institutions and pre-modern practices and activities such as collecting artistic objects and the historiography of arts and artists in pre-modern East Asia. It also expects to expand the field of study for the future through discussion of various issues from a comparative viewpoint. Despite the shared substructures for the foundations of art history across East Asia, developments varied. For example, the traditional notion of shuhua or “calligraphy and painting” prevailed as the framework within which various artistic practices were attempted in pre-modern East Asian countries. However, when the word bijutsu (meishu in Chinese and misul in Korean) was coined as the translation of the Western notion of “fine arts” and introduced to East Asian countries in the late nineteenth century, reactions to the neologism differed. In China, the notion of shuhua seems to have been maintained even after the establishment of modern academic art education and exhibition systems, while in Japan the coinage of the word bijutsu expelled calligraphy from the realm of art defined as bijutsu and drove traditional notions into the category of outdated customs. In Korea, where official art exhibitions categorized works of art into the three divisions of “Eastern painting,” “Western painting,” and “calligraphy,” traditional notions seem to have made a compromise with the Western notion of fine arts. Considering these contexts in East Asia, this colloquium is subdivided into two sessions: “Comparative or Cross-Cultural Approaches to East Asian Art Before Sustained Contacts with the West” and “The Foundation and Development of Museums, Art Collecting, and Art History in East Asia After Modern Encounters with the West.” The first session focuses on various issues concerning pre-modern East Asian art and art institutions, while the second concentrates on those of modern and post-modern East Asia. Although the history of East Asia’s interactions with the West differed from region to region, as in the case of introducing the Western notion of art, both sessions adopt comparative viewpoints among regional, interregional, or trans-regional contexts to examine artistic practices and activities of the past and present. These viewpoints may stimulate comparisons between pre-modern practices and modern institutions or between different regions in East Asia. They may also take up Western reactions after direct contacts with East Asia, such as the collecting of objects from the East in any cultural or historical context with the East. Although the range of topics to be considered in the two sessions is somewhat narrow, we believe that a focused discussion will further develop the field by responding to the present trend. Typically, from the 1980s onward, a set of bipolar tendencies has become noticeable in art historical studies. On the one hand, globally oriented research has expanded the range of studying art history to the study of images and visual cultures in a broad sense, or even to a kind of anthropology specialized in visual images. On the other hand, regionally-oriented research has underscored the historicity of the Western term of “art” and been skeptical of the universality of that term, which art history had presumed from the outset as the foundation of the discipline. At present, the field of art history appears to be headed more and more toward a borderless vision. This colloquium is expected to help redefine research frameworks in the field of study within the current trend. Art collecting in the political context in pre-modern East Asia. Aspects of pre-modern historiography on arts and artists. Comparative approaches to museums and museum law in East Asia. Differences in taste or aesthetic preferences that determine differences in art collections. Differences in Western collections of Asian art between different regions and times. East Asian contemporary arts and the world art market. Establishment and development of art history as a discipline in East Asian art schools and universities. Collecting arts from East Asia in a private or museum collection overseas. Collecting arts from foreign countries in East Asia and the West. Reconstructing the history of East Asian painting through copies and reproductions. Pre-modern approaches toward antiquity in East Asia. Professional art studios functioning as an art education system. Purchasing and collecting modern or contemporary Western artworks in globalized markets. Reactions to the introduction of the Western concept of “art” to East Asia. Transmission or transformation of indigenous art collections into museum property in East Asia. Transoceanic transactions dealing with artistic objects within a network of human relations. Trends and fashions in collecting art objects. ICOM (International Council of Museums) will hold a triennial general conference from September 1 through 7, 2019, in Kyoto under the title “Museums as Cultural Hubs: The Future of Tradition,” which shares the theme of the CIHA Colloquium in Tokyo. Please see the website for the conference: http://icom-kyoto-2019.org . 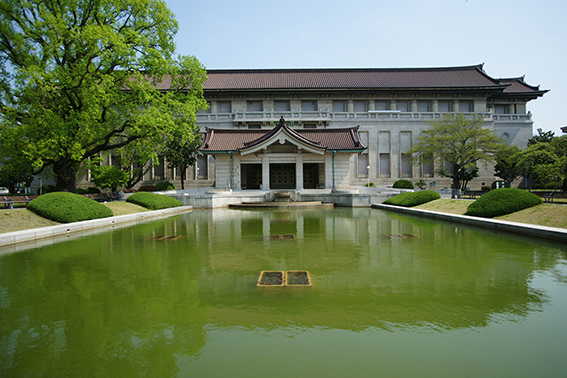 The colloquium is jointly organized by the Japanese Committee for CIHA and Tokyo National Museum (http://www.tnm.jp/) with the co-organizer, the Otsuka Museum of Art (http://www.o-museum.or.jp/english/), and supported by the Kajima Foundation for the Arts, along with sponsorship of the Science Council of Japan and the Japan Art History Society. It is also in a scholarly collaboration with the Graduate School of Humanities and Sociology, the University of Tokyo.